Italy coach Roberto Mancini insisted his side were not inferior to Portugal, despite slipping to a 1-0 Nations League defeat in Lisbon. The European champions, without talisman Cristiano Ronaldo, got their campaign under way with a slender victory in their Group A3 clash at Benfica’s Estadio da Luz. Portugal did not have to get out of second gear to take the points against a much-changed side fielded by Mancini. Andre Silva scored what turned out to be the only goal of the game in the 48th minute. However, Mancini was content with the effort from his players and said at the post-match press conference: “Portugal weren’t superior to us. They have players who are always at the top level and in the second half they played a lot of youngsters. “I have to go down my road, and of course losing isn’t fun. (I’m happy) when my players put everything they have into a game, which they did against Portugal, we just have to be a bit more incisive. “By the time the next games come around we will have players who are in better physical form. I have some players who I am certain will play, there aren’t many though. There are a lot of other players, some injured, who are also important for the team. “I liked the fact we kept trying to the end, we took risks which almost resulted in us conceding, but we believed we could get back into the game until the very end. Italy already face an uphill battle if they are to win Group 3, with the Azzurri sitting bottom with just one point from two games. 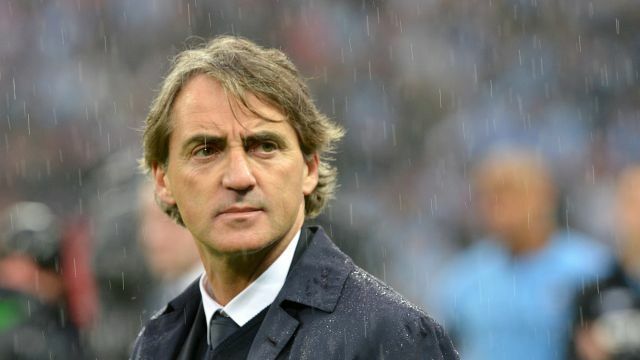 “Portugal won their matches, so they are favourites,” Mancini continued. “I think the group is still wide open, though.